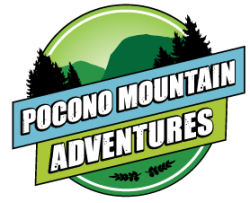 Spring, summer, winter or fall, Pocono Mountain Villas provide an abundance of indoor and outdoor activities for all. Experience the thrill of snowtubing year-round. Blue Lightning all-season tubing, the only all-season tubing facility in the Pocono Mountains, features a Magic Carpet lift and two 400-foot tubing lanes. Ride to the top, walk off and start tubing by sitting down on the tube and gliding down on the special runs that allow tubing without snow or water. You can also view the waterfalls, go horseback riding, try canoeing, or enjoy paintball, mini golf, pools, and bumper boats.